In the wake of the closing of the Titan and Pollyanna blogs, we are continuing the charity corner here. This week, in the wake of the bombing by the US of a hospital of Doctors without Borders, we call on you to support this worthy group in their hour of need. The location of the hospital was known to all combatants in the area. Someone must be held accountable for this terrible act. The governor of Missouri has commuted the death sentence of Kimber Edwards. Thanks to all who participated in this action. This week we return to actions on behalf of specific tribes and peoples. We ask you to write to the Prime Minister of Australia to call upon him and his government to address the issue of health of the aboriginal people of his country. Please note that although the Survival letter template lists Mr. Abbott as PM, in fact, Malcolm Turnbull was sworn in as the 29th Prime Minister of Australia on 15 September 2015. This week we focus on the forced labor used by the government of Uzbekhistan every year at the time of the cotton harvest. Drugged, beaten and detained by police – this was the fate of Elena Urlaeva when she dared to document state-sponsored slavery in the cotton fields of Uzbekistan. 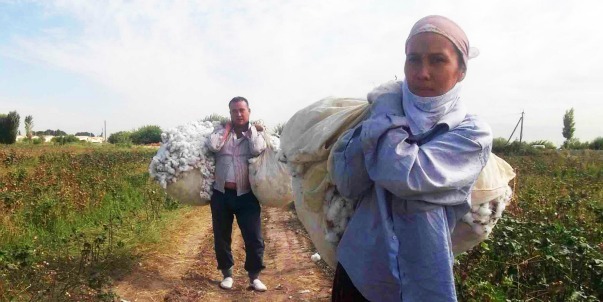 In Uzbekistan, the whole country suffers because of the government’s dependence on revenue from the cotton harvest. The government operates the world’s largest state-run system of forced labour where activists like Elena are brutally repressed, pensioners are being forced to pick cotton or submit 50% of their pension, and education and health care are undermined for two months every year due to the mass mobilisation of teachers and doctors. Please sign the petition to the World Bank to withhold loans to Uzbekhistan until this policy is changed. Paramilitaries killed Ernesto Guzman, a peasant farmer with close links to the Peace Community of San José de Apartadó in north-western Colombia. Other peasant farmers in the area have been labeled guerrilla fighters and may therefore be at risk. Please call for an investigation of the murder and protection for the Peace Community. Buzurgmekhr Yorov, a lawyer representing members of the arbitrarily banned Islamic Renaissance Party of Tajikistan (IRPT), has been arrested on fraud charges and is at risk of torture and ill treatment. The timing indicates that the charges are likely to be politically motivated and designed to deny the arrested members of the IRPT access to legal counsel. Please act on his behalf. Omani blogger Muawiya al-Ruwahi was put on trial in the United Arab Emirates (UAE) on 14 September, on charges that include “ridiculing the State and its leaders”. He suffers from bipolar disorder and has attempted suicide six times. Please call for a mental health assessment and removal of the charge “ridiculing the State and its leaders”. This destination is unavailable for Israeli activists, but we hope that those who can will pick up on this. Mulberry Leather answered the 10,000 messages we sent to it with the old tired excuses. Please continue to apply the pressure. If you have already protested the worker abuse in the Mulberry supply chain, pass the message on to friends and family. If you have not sent a message, please open the link and act. 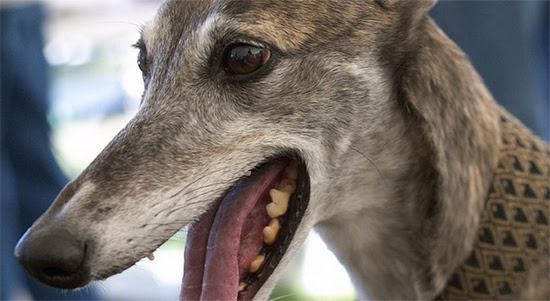 Hunting dogs that have outlived their usefulness are legally abused and put to death, often by torture in Spain. Please join the call to stop this barbaric practice.